So, season five of new Who is done and dusted. It seems like only a couple of weeks ago that a suspicious audience tuned in to see whether the new Holy Trinity of show-runner Steven Moffat, Eleventh Doctor Matt Smith and companion Karen Gillan were, you know, actually any good. I will always be grateful to Russell T Davies for resurrecting a show which had been an integral part of my childhood but which had become, well, a bit crap by the end (although nowhere near as bad as some would have you think). There were many great things he brought to the series, not least a willingness to embrace its own history and some inspired casting decisions, particularly David Tennant and Catherine Tate (the latter much derided at the time). And then there were the season finales. Oh dear. Every year Davies would crank the melodrama up to 11, paint the Doctor into an impossible corner and then produce a deus ex machina resolution – often not involving the Doctor at all – which would leave me screaming “What? WHAT?! ?” at the TV. A lot. So I was glad when Davies announced it was time to move on. Not because he was bad, but because it was time for a regeneration behind the camera as well as in front of it. I was even happier to learn Steven Moffat was to be installed in his place. The man behind Press Gang and Coupling, here was someone with a proven record. He had already produced some of the new series’ finest episodes: The Empty Child/The Doctor Dances, The Girl in the Fireplace, Blink and Silence in the Library/Forest of the Dead – each an exercise in taut, simple horror. All the doubts focussed on the youthful and relatively unknown Matt Smith and his new companion. How would he compare to Tennant; how would she stack up against Tate, Billie Piper and Freema Agyeman? We need not have worried. The Moffat-penned opening episode The Eleventh Hour showed us the template for what was to come: Smith’s Doctor immediately distinctive as the mad old genius in the young man’s body; Gillan’s Amy Pond feisty and confident. From fish custard to the Eleventh Doctor stepping through a montage of images of his predecessors and enemies – as a reboot of the show, this was snappy and confident. And very good. One question, just one more. Is this world protected? Yeah, you’re not the first to have come here. Oh, there have been so many. And what you have to ask yourself is: what happened to them? Hello. I’m the Doctor. Basically … run. It came because it couldn’t stand to watch your children cry. What if you were really old, and really kind and alone? Your whole race dead, no future. What couldn’t you do then? If you were that old, and that kind, and the very last of your kind … you couldn’t just stand there and watch children cry. The less said about Victory of the Daleks, the better. I’m sure the colour-coded Daleks make for great merchandise, and that the concept of Spitfires in space looked good on paper but it was all a bit crap, really, as was the resolution where again it is Amy rather than the Doctor who saves the day in utterly ridiculous fashion. The same goes for the laughable Vampires of Venice, a bandwagon-jumping filler episode if ever there was one. Okay, so we eventually discovered they weren’t really vampires. I had ceased caring by then. Best forgotten. In between, we had the two-parter featuring the return of both River Song and the Weeping Angels, While lacking the visceral impact of their initial appearance in season three’s Blink, the Angels remain one of the simplest yet scariest enemies the Doctor has ever had. And, little did we know at the time, Moffat plants the seed in one brief, slightly curious exchange between the Doctor and Amy that pays off spectacularly in the season finale. In most seasons of Who, there has been a standalone episode which polarises audiences. (Season two’s Love and Monsters, for instance.) This year, that episode was Amy’s Choice, a one-off tale requiring the trio of the Doctor, Amy and Rory to choose between two perilous situations; one real, the other not. Ultimately, the Doctor realises both scenarios were dreams, but not before Amy decides to sacrifice both herself and the Doctor when Rory is killed and she realises she cannot live without him. Indeed, Amy really is put through the emotional wringer as the second half of the season progresses. As if being slowly turned to stone by the Weeping Angels and seeing her fiancé killed (albeit in a dream) wasn’t bad enough, she is then sucked into the bowels of the Earth (The Hungry Earth), left by the Doctor to negotiate sharing the planet with the Silurians (Cold Blood), watches Rory die for real this time (Cold Blood again) and then simply forgets he ever existed, and then sent careering across space alone in an out-of-control TARDIS (The Lodger). And that’s before she remembers and is killed by Auton Rory in the first part of the season finale! The death of Rory aside, the comeback of the Silurians was a workmanlike effort at best, in which only the siege scenes within the church carried any dramatic oomph. A shame. However, the episode which followed it, Vincent and the Doctor, was as fine a story as Who has ever produced. In fact, it was the highlight of my TV year so far. 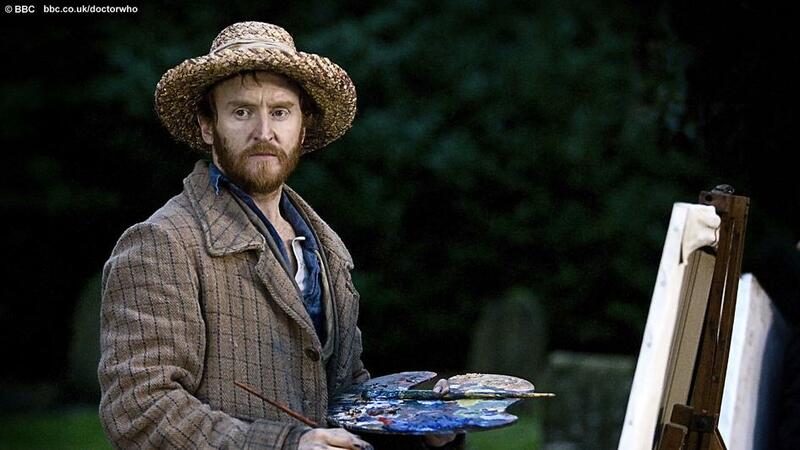 This was a sensitive portrayal – and a fantastic performance by Tony Curran – of an artist who ultimately took his own life following a long history of depression. Maybe it was just me, but it felt like there was a small, under-stated comparison drawn between Vincent and the Doctor. Both geniuses, both seeing the world around them in a different light to everyone else in a way which isolates them from other people, and both tragically underappreciated by virtually everyone around them. Vincent, alone, committed suicide. The Doctor has always had his companions to keep him sane, otherwise he could easily have turned out like The Master. The way I see it, every life is a pile of good things and bad things. The good things don’t always soften the bad things, but vice versa the bad things don’t always spoil the good things and make them unimportant. And we definitely added to his pile of good things. One final breath for levity in The Lodger served as a comical reminder that the Doctor, despite his outward appearance and all his experiences with humanity, is still not quite human. It was a nice down-beat to let us catch our breaths before the finale, light-weight but not insubstantial, with the otherwise grossly over-exposed James Corden putting in a touching turn as the Doctor turns into Cupid for the day. Does this mean the Doctor really is God? And so to the two-part finale. 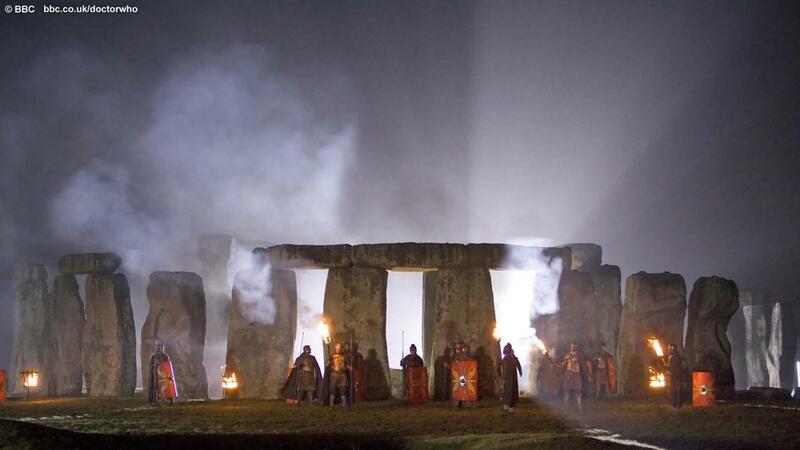 In The Pandorica Opens, an elaborate trap leads the Doctor to Stonehenge, where his enemies have allied against him, having identified him as a threat to all time and space. The Doctor is locked in the Pandorica, while Amy is reunited with Rory, who turns out to be an Auton created from her memories and shoots her dead. Oh, and River Song is trapped inside the exploding TARDIS, which causes the universe to collapse. That small thing. When you wake up you’ll have a Mum and Dad. And you won’t remember me. Well, you’ll remember me a little. I’ll be a story in your head. That’s OK – we’re all stories in the end. Just make it a good one. Cos it was, you know. It was the best. A daft old man who stole a magic box and ran away. Did I ever tell you that I stole it? Well, borrowed it – I was always gonna give it back someday. Oh, that box, Amy. You’ll dream about that box. It’ll never leave you. Big and little at the same time. Brand new and ancient. And the bluest blue ever. And the times we had. Would have had. Never had. In your dreams they’ll still be there. The Doctor and Amy Pond. And the days that never came. The cracks are closing. But they can’t close properly ’til I’m on the other side. I don’t belong here any more. I think I’ll skip the rest of the rewind. I hate repeats. Live well. Love Rory. Bye bye, Pond. The Doctor’s canonically accurate description of the TARDIS, in slightly different words: something old, something new, something borrowed, something blue. Somehow (and someone may be able to explain exactly how, because it’s not clear to me) River Song has left her TARDIS-styled diary for Amy to pick up, at which point her memories of her ‘raggedy Doctor’ come flooding back. Before you can say “paradox, anyone?”, the TARDIS materialises and the Doctor is back. You need to start trusting me. It’s never been more important. Remember what I told you when you were seven? … You have to remember. Well, now we know it was the future Doctor who spoke to Amy, and we also know what he was referring to: the story of the borrowed blue box. Now watch Cold Blood again (or try the YouTube video below). Then I defy you not to slap your forehead. It is stupefyingly brilliant – fantastically complex story-telling achieved with simple misdirection and an admirable economy of effort. I remember there being some chatter about the perceived continuity error with the jacket at the time. There were even some people who suggested it might be a future version of the Doctor. Hats off to them. I completely missed it. “Something old, something new, something borrowed, something blue.” It’s so obvious with hindsight, and yet it had never occurred to me. The loop within the time loop. It’s just a tiny sidebar which doesn’t really affect the main plot, but at the museum young Amelia has her drink snatched away from her by someone. Later she says she is thirsty, so the Doctor jumps back a few hours, steals the drink from past-Amelia and gives it to present-Amelia to satisfy her thirst. Presto! “History can be rewritten.” This line popped up a few times during the series, suggesting that maybe specific historical events could be changed. But no, when Moffat said rewriting history, he actually meant recreating the history of the entire universe. Silly me. Generally, the amount of zany, farcical humour which Moffat managed to inject into the plot. All reality is collapsing before our eyes, and yet I spent half the episode laughing. It takes a seriously good writer to be able to do that. Looking back, the season arc was immensely satisfying. 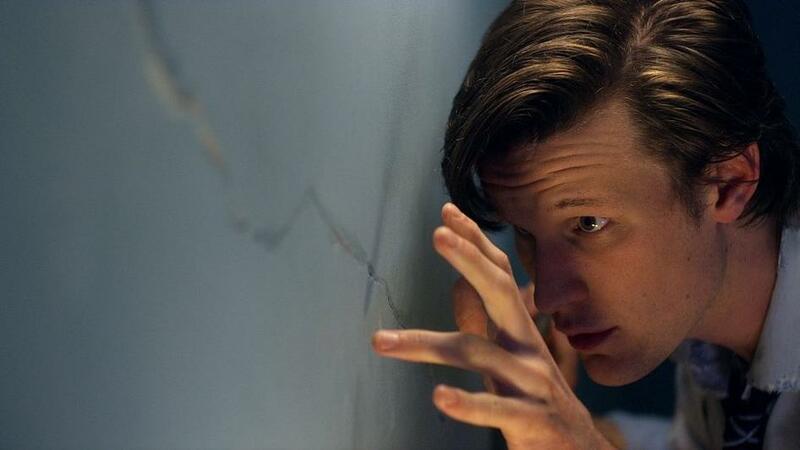 Moffat laid the high-level plot of the cracks in time to signpost things for the casual viewer. For more observant fans he left a trail of breadcrumbs and loose ends – some obvious, others ingeniously disguised – which left the vast majority of us (well, me, anyway) groping around in the dark, utterly bamboozled. And, to top it all off, not only did he set up a great season five arc, it looks like he has already got the key beats for season six mapped out. We know the Doctor is on the trail of ‘the Silence’, and whoever has been manipulating the TARDIS. And the mystery of River Song remains unresolved. Truly, this is great writing. Amy: So, there are other Time Lords? The Doctor: No. There were, but now there aren’t. Just me now. Long story. There was a bad day. Bad stuff happened. And while some bad stuff did happen on this initial run-out for the new cast and crew, the high points were so high that quite frankly I could have forgiven Moffat if he had sneakily inserted a couple of episodes of the execrable Knight Rider reboot on the sly. I can think of no higher compliment. There is also one thing we now know for sure: bow-ties are cool. Fezzes? I’m not sure. Either way, I am now fully reassured that Doctor Who is, once again, cool. Bring on Christmas, and roll on season six next spring! Posted in Doctor Who, Entertainment, TV & film and tagged Doctor Who, review. Bookmark the permalink. Let me digest what you’ve said and get back to you. thanks for visiting my little slice of lunacy earlier. Huge piece you’ve written here, so I’m sure you’ll forgive me for skimming a little. I only did short reviews during the season on my site, some of which I think you’ve read. If they’ve completed reset the universe, and rewound back through the entire series story wise, then none of that happened, and no-one remembers any of it. Except they clearly do. River must remember something or how else did she know to leave the book for Amy? And if Amy and Rory now do remember it all, did it happen, and is Rory alive or an Auton? Yes it gave a few answers, but it left me with far too many questions. There you go, my ten pence worth, lol. I have to admit, my head hurts when I think about the time paradox too much. There is no simple, linear cause-and-effect. It’s a bigger version of what happens with young Amelia. Why is she thirsty? Because someone stole her drink earlier. But what causes the Doctor to jump back in time to steal her drink? Because a few hours from then she says she’s thirsty. It’s the same with the cracks in time. The Alliance identifies the Doctor as a threat to the universe because they think he is causing the cracks, so they throw him in the Pandorica. But the only reason he creates the cracks is because they locked him in the Pandorica for causing the cracks in the first place. So, the universe was already ‘wrong’ throughout the entire season, and the Doctor has now reset it properly by means of a second Big Bang. (The whole extrapolation of the few billion molecules that were in the Pandorica is dodgy on so many levels, but at least there’s some sense to it – it certainly beats RTD’s ludicrous deus ex machina resolutions in previous finales.) The basic events presumably still happened the way they did, but Amy now has her family back, presumably everyone now remembers the Daleks and the timeline is back to where it should be. Is Rory still an Auton? God only knows. it’s that whole “wibbly wobbly timey wimey” thing again isn’t it? Usually those things don’t bother me, things lie the “remember something from last regeneration when you met yourself and do what’s needed” idea, as that at least makes a sort of sense. This one threw me badly though. And don’t even get me started on River, she’s just one huge paradox to me with some of the stuff that comes out of her mouth, lol. You’d think being the sci-fi geek that I am that I’d be more willing to simply accept these things, but I’m not. Daft as it sounds, even with stuff like DW I expect it to make at least a little sense, lol. Does this make me weird I wonder? Nah, it just makes you a geek, obviously! It is completely that WWTW thing again. I suppose that’s the point of a paradox, isn’t it – it makes no logical sense in the context of our understanding of the world. But then scientists say faster-than-light travel is impossible given our current scientific thinking, but it doesn’t stop us enjoying Star Trek, does it? I have no problem at all being called a geek, to me it’s a compliment, although I know most females tend to run a mile if you even suggest such a thing to them, lol. As for the headache, I find beer works better. A few cans of lager, or whatever, and you really wont care. We’ll save the “how can River know that but not know that?” conversation for another day shall we? I’m wondering what the deal is with River too, but Moffat has said all will eventually be revealed about her origins, and I have no doubt he has this all carefully planned out already. She’s certainly not my favourite character – the whole “spoilers” catchphrase has worn pretty thin … but I’d quite like her square gun! Yes, there’s something about her that just “grates” on me for some reason, maybe it’s that catchphrase, maybe not, but she irritates me. And now you’ve asked for it, lol. When River meets Ten, she says things like “have we done this yet?” and doesn’t seem to understand why he doesn’t know who she is, but it’s because he hasn’t met her yet in his time-line. It’s later revealed that she doesn’t meet him (her first time in her time-line) till a later regeneration, but if that’s the case, why would she think, even for a minute that Ten would know not only know who she was but remember something they did at a later date? Thanks for your comments on my blog. Good season overview. I am not sure if I am going to do one on my blog yet, but I may still end up doing one. I also loved the whole time loop sequence in the Big Bang when strange things were happening only for them to make sense moments later. I am pretty sure that Rory is no longer an Auton, but does have memories of his time as an Auton, which suggests that he has memories of this two thousand year vigil as well. I am also in quandry as to whether it all happened or not. As Amy woke up in her bedroom on the morning of her wedding and had no idea of who the Doctor was suggests that she never left with him the previous evening, but later on it all came back to her, so in her mind at least (and Rory’s and the Doctor’s) it definitely happened, but whether that means it did actually happen I am still unsure at the moment. Keep up the good work on the blog and thanks again for visiting my little blog. Thanks for popping by, Adam. Look forward to swapping thoughts with you in the future. A week after the event, I’m still slightly confused – in fact, the more I think about the details, the more confused I get. I re-recorded the finale last night, so I can watch it again at leisure and hopefully get a few things straight again after a second viewing. I’m glad to see I’m not the only one with a confusion headache, lol. thanks for commenting on my blog as well! This season really seems to have fired us all up, doesn’t it? As it should be. I fell in love with DW all over again this year – you nailed it with your initial comments about RTD. I’m so grateful for what he did for us, but by the “specials” (and those quote marks are there absolutely deliberately) I was desperate for something new. There’s a beautiful video on YouTube at the moment called “The Tenth Doctor – The Musical” which absolutely pinpoints all of my problems with Ten’s era. As The End of Time farted to a close I couldn’t wait to see what Matt would be like. As he erupted into life (and don’t you love the way Murray changes from those bloody choirs to an absolutely skanking guitar motif as he appears? ), it felt like the beginning of something wonderful. I’m so pleased to see I was right about that. Teething problems sure, but everyone on the production team admitted they were learning from scratch. I was willing to give them the time to bed in, because I had faith in The Grand Moff. As a Press Gang, Joking Apart and Coupling fan from way back, I knew that The Arch Plotter had something special in mind. My god, it paid off spectacularly. Amy’s born in 1989 – the year Classic Who ended. Amy meets The Doctor as a child in 1996 – the year he returned for one night only in the TVM. 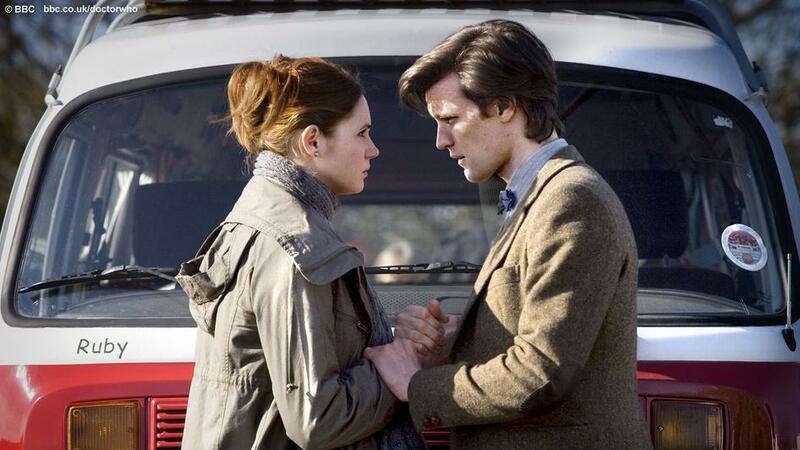 Amy meets The Doctor again in 2008 – the end of the RTD ‘series’ era. Amy runs off with The Doctor in 2010 – the beginning of the SM era. The ultimate Mary-Sue? Fiendish cleverness? Or pure coinkydink? I don’t care, it tickles me pink to know that while we were growing up in The Wilderness Years, Amelia Pond was as well. Once again, tremendous season overview, Tim. Yet another reason why I’m proud to be part of this frequently confusing, aggravating, uplifting, terrifying, infuriating, joyous many-headed monster that we call fandom. That’s a brilliant snippet. It’s surely too precise and specific to be a coincidence. I imagine it’s exactly the sort of Easter egg Moffat would lovingly craft into the back-story for the series’ most serious fans to wheedle out. Thank you for sharing it! Couldn’t agree with you less about Vincent & The Doctor I’m afraid. I thought it was a very sad missed opportunity. Fair enough. In what way did it disappoint you? Great review, Tim. I too was much taken by Smith and Gillan. A few hiccups aside (Victory of the Daleks and Vampires of Venice), this was a masterful season and Christmas can’t come quick enough for me. By God, this Moffat fellow is a man of many talents. A very busy man too, with Sherlock to look after as well. Sadly, I fear we haven’t had anything more than a functional Dalek episode since season 1’s ‘Dalek’ – which was, to be fair, magnificent. well.. this was certainly an excellent reveiw but im not sure if i agree with eveything…. i joined the lines of Doctor Who fans in 2006, coming across it by accident, on a lonely night with no other interesting tv programs, watched “New Earth” ,and enjoyed it immensely.From then on I was hooked. ive seen every episode of doctor who since 2005 and loved it, especially Catherine Tate and Billie Piper as Rose and Donna. But lately ive been feeling cheated, as i keep have to question Doctor Who. For one, the 2008-10 specials felt strangely….unenjoyable to me, despite the occasional amusing moment. I dont know why, but the plot seemed cheap at times and questionable, pulling random elements from thin air to continue the plot or to finish it. It was the same with series 5. Although i cant say Mat Smith or Karen Gillan are bad actors , and i cant deny the series hasnt had its major “goods” , but i really feel that i dont know The new doctor of Amy well enough , and this series feels different from earlier series. Maybe my unamusement is simply caused by the fact that ive started watching the series on my computer , or maybe there is some subtle change i cant describe that i dont feel comfortable with. Your opinion is as valid as mine or anyone else’s, so feel free to disagree about things! You have to remember that Who is coming out of a massive transition period, with Russell T Davies handing over to Steven Moffat before season 5. Oddly enough, for a series which is all about changing its stars, a lot of Who fans are very wary of change. There was a lot of doubt about Eccleston initially. Tennant too, not to mention Tate, who many fans were initially vociferously opposed to. But all of them worked out rather well, didn’t they? I think it’s important to give things time to bed in. A regenerated Doctor AND a new companion AND a new show-runner are three huge changes to try simultaneously. I think we’ve gotten to know Amy pretty well, but the 11th Doctor is still a bit of an enigma – which is not necessarily a bad thing. Season 5 certainly had its ups and downs. We were all nervous at the start, and there was definitely a mix of very good and very poor during the season, but I have to say I loved the intricacy and sheer scale of the finale. Moffat has a track record on both Who and other shows of being a brilliant writer – he just needs to find more consistency from his other writers. I think you’re in good company in your thoughts on the specials, though. Most fans agree they were pretty poor fare, particularly the later ones. They weren’t helped by Davies’s habit of relying on plucking deus ex machina solutions out of thin air, which just made some of the stories silly. I always wondered about Rory being an auton. Did the next season explain that? When the universe restarted did Rory become human again? It was never explained as far as I can remember. I’ve always assumed that somehow the reset of the Big Bang meant Rory was somehow reset to his human self, although he did seem to retain the memories of his time as the Last Centurion. In The Doctor’s Wife, when Rory and Amy get separated in the TARDIS, Rory makes a clear reference to being made to wait hundreds of years for Amy AGAIN.